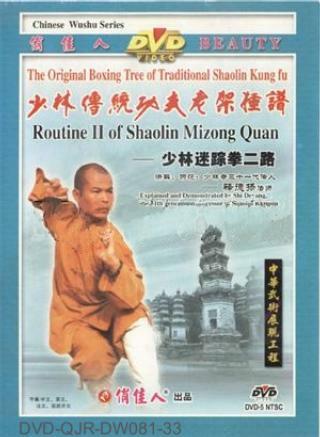 Shaolin Delusive Fist (Shaolin Mizong Quan) is one of the most representative routines in the Shaolin wushu system. It has been simplified and enriched by many generations of the Shaolin eminent monks to develop into more compact in structure and with better perfection in content. Shaolin Mizong Quan has its own unique characteristics with extending and spreading movements; fierce, forceful, powerful, simple and unadorned forms; unique handwork and unpredictable footwork. It stresses on actual combat and is good at confusing your opponent by making a feint to one direction and attacking the other, so to make him at a loss. Frequent practice of this routine is helpful in improving your level of Kungfu skillfulness and increasing your body strength.